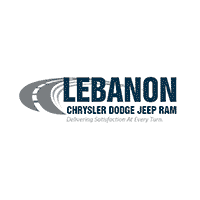 Lebanon Chrysler Dodge Jeep Ram would like to express our sincere gratitude for visiting our website. Our relationship with you and commitment to helping Cincinnati and Dayton area drivers purchase the Chrysler, Dodge, Jeep or Ram truck of their dreams is what we love to do. Sure, we love the new Chrysler 200, Jeep Grand Cherokee and Ram 1500 and all of our pristine used cars. And yes, we’re proud of our car service gurus’ expertise and passion, time-tested Chrysler, Dodge, Jeep and RAM parts as well as our auto financing specialists’ commitment to delivering flexible, custom-crafted car loans and Chrysler, Dodge, Jeep and RAM leases. But, our first and foremost goal is to make your car-buying and ownership experience better than any other you’ve had near Cincinnati, Centerville, Hamilton, Dayton, Ohio and beyond. If you’re ready to answer the call of fun, style and peace of mind; be sure to contact us today. And prepare to have your expectations exceeded.